This short trip took us to southeast Texas and the Golden Triangle area. The cities of Beaumont, Port Arthur and Orange form that triangle. We didn't have time to visit Orange this trip, but will look forward to exploring it on another trip through the area. Beaumont, the county seat of Jefferson County, is in the northeast part of the county, on the west bank of the Neches River and Interstate Highway 10, eighty-five miles east of Houston and twenty-five air miles north of the Gulf of Mexico. 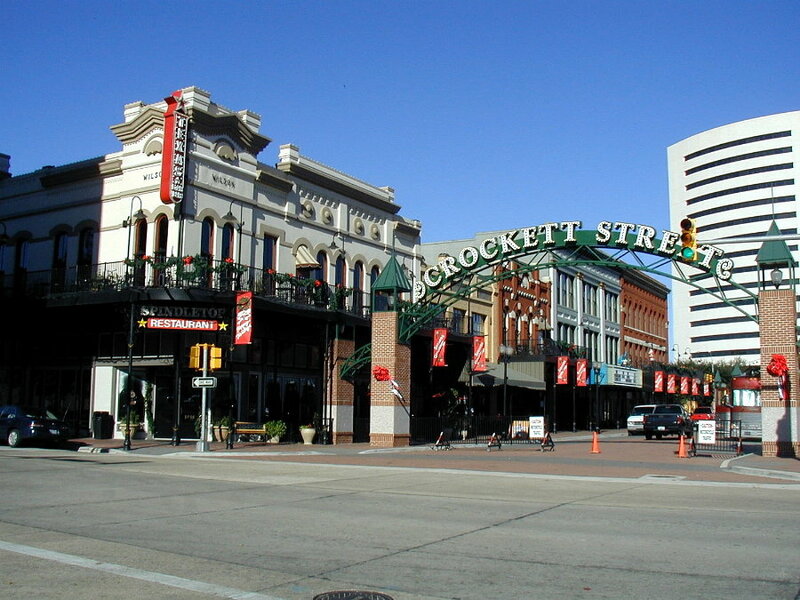 With nearby Port Arthur and Orange, it forms the Golden Triangle, a major industrial area on the Gulf Coast. Beaumont developed around the farm of Noah and Nancy Tevis, who settled on the Neches in 1824. 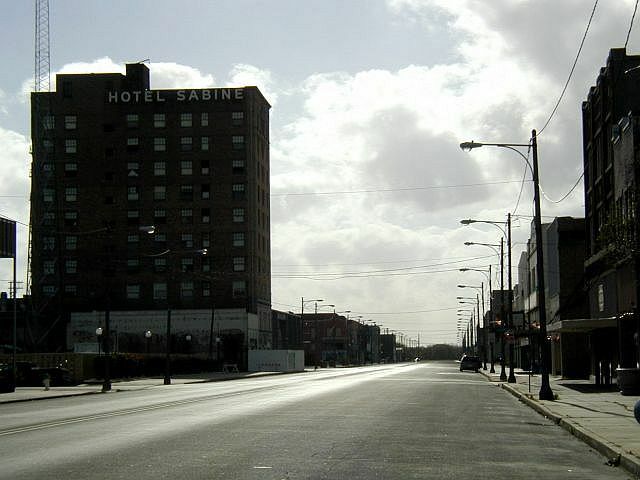 Port Arthur is on State Highway 87 on the lower west bank of Sabine Lake, five miles east of the Neches River Rainbow Bridge and seventeen miles southeast of Beaumont in southeast Jefferson County. 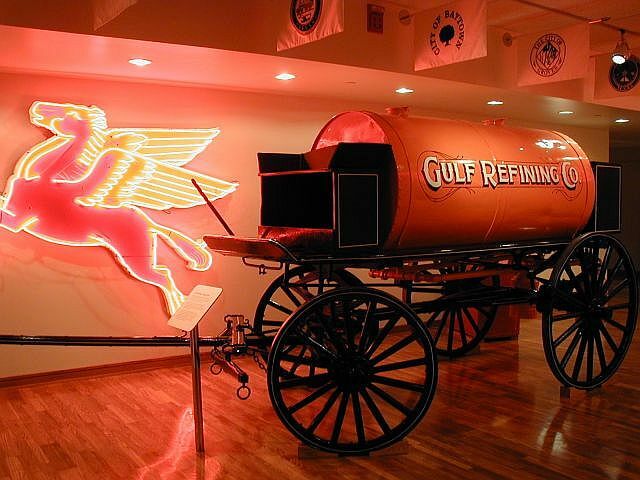 It was founded by Arthur E. Stilwell, a Kansas railroad promoter, who in 1894 launched the Kansas City, Pittsburgh and Gulf Railroad. We left Richmond Sunday afternoon, December 14th, after church. We took US Alt-90 to Houston, then IH-10 east to Beaumont. We pulled into East Lucas RV Park shortly after dark. 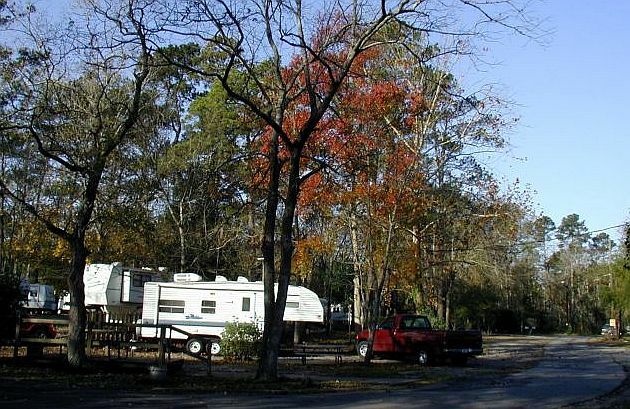 It's a nice wooded park with friendly staff and is very convenient to visiting the area. Monday morning after breakfast, we drove down US-87 to Port Arthur. Port Arthur has many nicely restored old homes. We toured Pompeian Villa, the last remaining landmark of the "dream city" planned by the founder of Port Arthur, railroad magnate, Arthur E. Stilwell. The house was built in 1900 as the winter resort home of Isaac L. Ellwood, the developer of barbed wire. There are several other beautiful old homes available for tours, but not in the early part of the week, so all we could do is drive by them. At lunchtime, we crossed the bridge over the Intercoastal Canal to Pleasure Island. Pleasure Island is located between Port Arthur and Sabine Lake. We enjoyed our picnic lunch, watching the boats along the canal. We drove back to the mainland and to the old downtown of Port Arthur. It is pretty sad to see all the beautiful old buildings from Port Arthur's boom years, now slowly decaying. Examples of the decline are many - a few are shown below. There is some evidence of re-birth, but it appears to be only a drop in the bucket. After visiting the Gates Memorial Library, we drove back to Beaumont that afternoon and visited the Edison Museum. 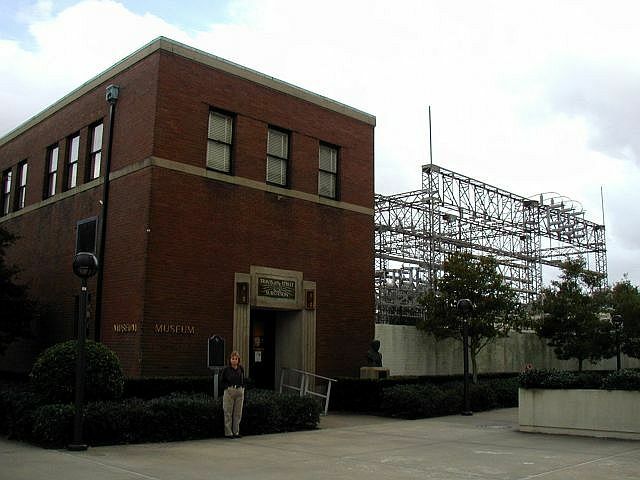 It is the only museum west of the Mississippi River dedicated to the work of Thomas Alva Edison. 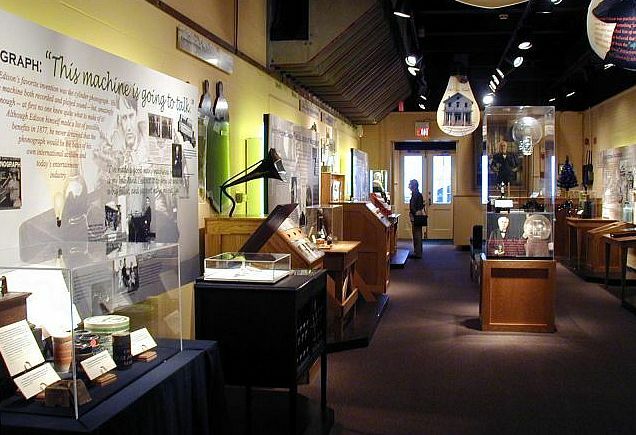 The museum manages over 2,000 Edison and related artifacts. 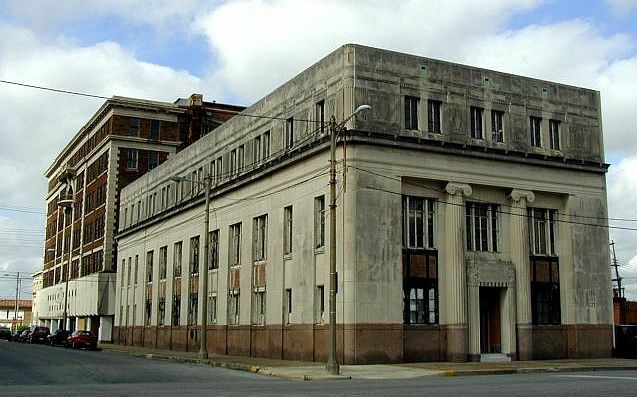 It is located in the historic old Travis Street Substation of Gulf States Utilities, built in 1929. 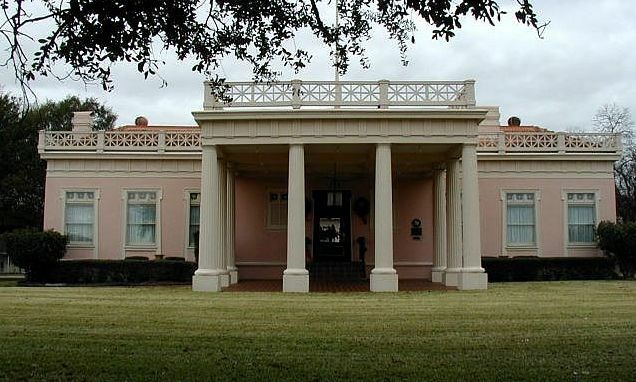 Tuesday morning we toured the restored classical revival McFaddin-Ward House in Beaumont. This impressive colonial mansion and associated carriage house were built in 1906-1908. 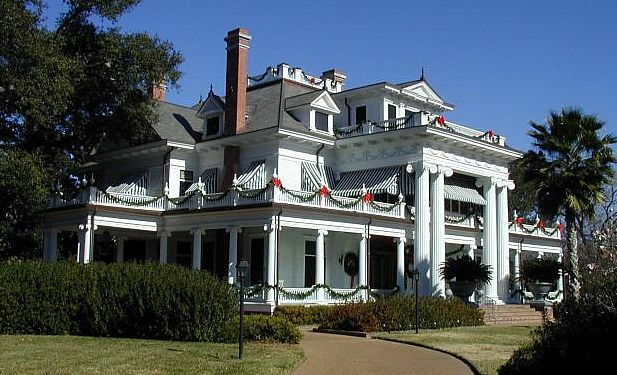 It was built on the homestead of William McFaddin, who received land from the Republic of Texas for service at the 1836 Battle of San Jacinto. In the afternoon, we toured the Fire Museum of Texas, home of the World's Largest Fire Hydrant. 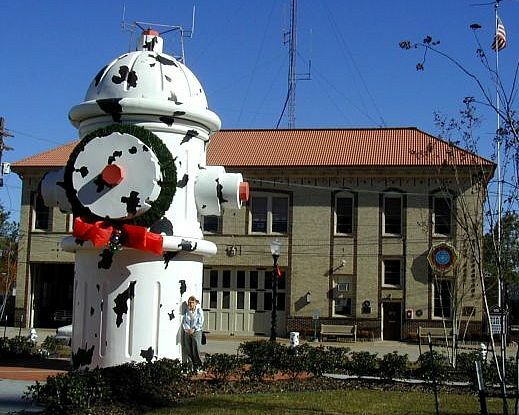 This 24-foot, spotted hydrant was donated by Walt Disney Studios to celebrate the re-release of the animated classic "101 Dalmatians." 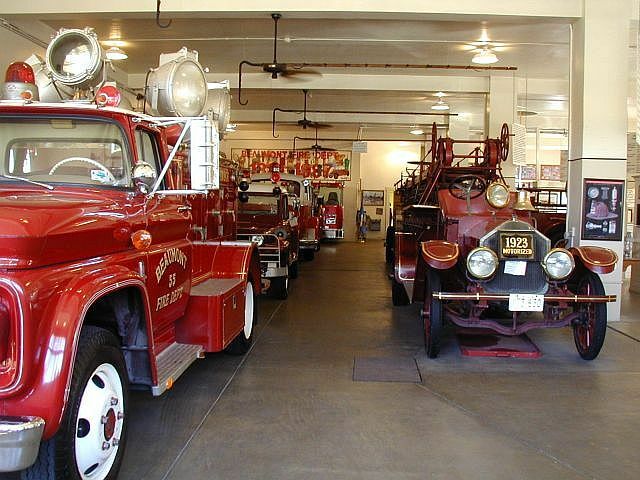 Founded in 1927, this former Beaumont fire station displays a very large assortment of firefighting equipment. 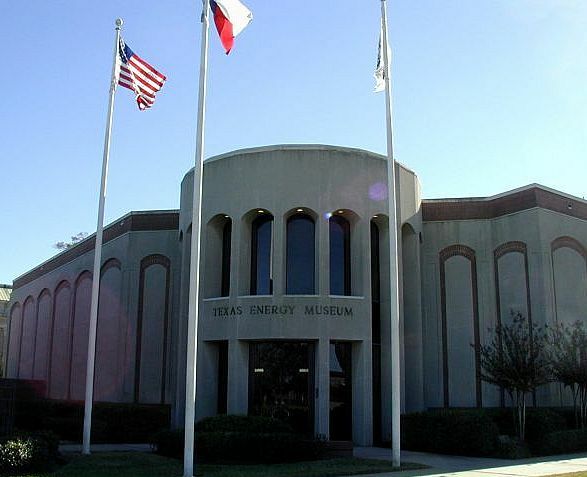 Next we toured the Texas Energy Museum, the foremost energy museum in America dealing with oil and gas according to the Smithsonian Institution. There are many highly technical displays explaining how oil and gas are produced. Wednesday morning, we departed from East Lucas RV Park. We had hoped to tour the John Jay French Historic House and Museum on our way out, but it was not open contrary to the posted signs. We looked around the grounds some. 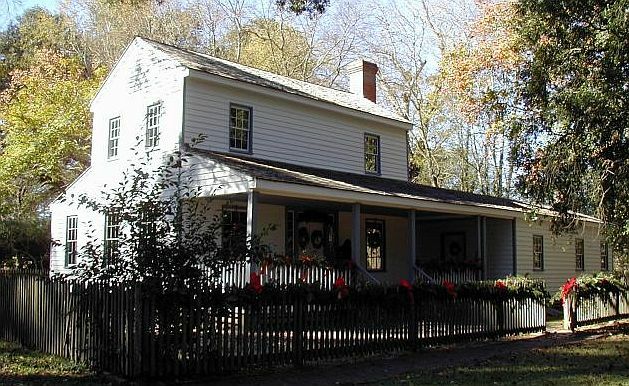 This is the oldest house in Beaumont, built in 1845 by John J. French, a tanner and merchant. It served as his home and as a trading post. 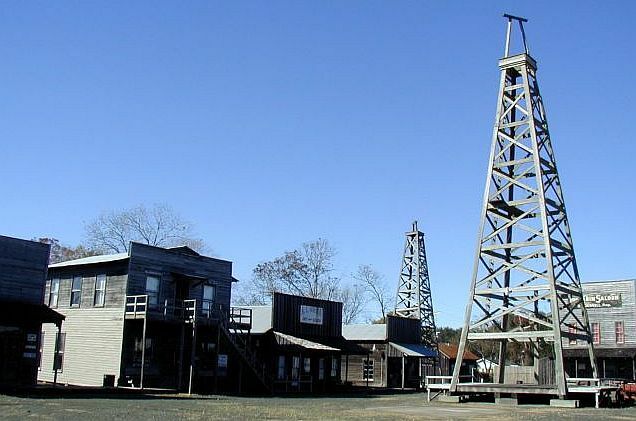 Leaving Beaumont, we stopped on our way out of town at Spindletop/Gladys City Boomtown. 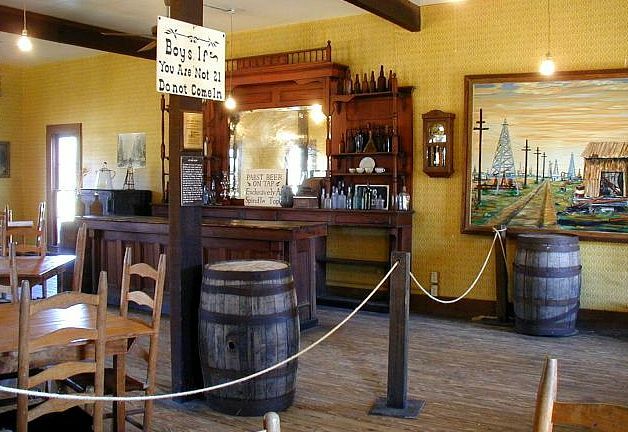 This is the world's first oil boomtown recreated with typical clapboard buildings of the era. It is more of a tourist destination than it is of historical interest. 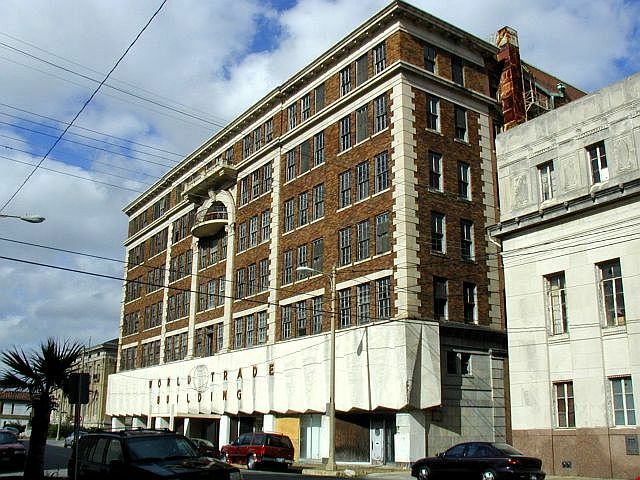 The actual Spindletop site is located on private property and not open to the public. This draws to a close our brief visit to the Golden Triangle. We hope you enjoyed the pictures and brief descriptions of our activities. God willing, join us again for another RV adventure soon.